The Maximo is a spacious, 4mph folding scooter that is based on the leading car boot TGA Minimo. 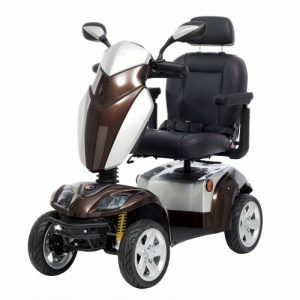 This larger scooter combines advanced transportability, high quality ergonomic design and superior levels of comfort and stability. 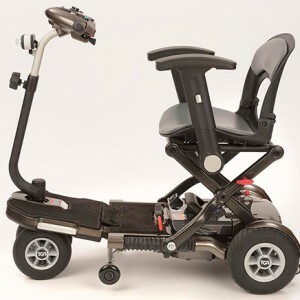 Despite its larger size, the Maximo is still an ideal car boot scooter that can be folded in seconds and requires no parts to be dismantled for storage. 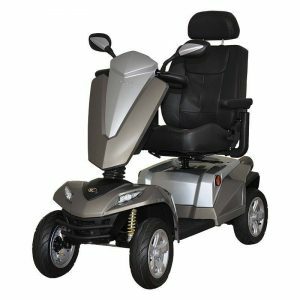 The latest version includes a new tiller that is fully adjustable so end users can achieve a greater variety of driving positions. This adjustable tiller will allow every owner to relax their shoulders, arms and hands completely when driving. 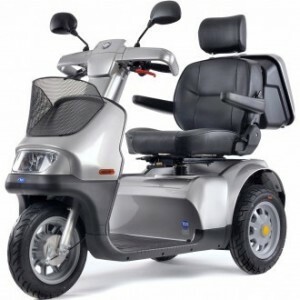 The latest Maximo also encompasses a more supportive seat that is adjustable to further enhance comfort and stability. The Maximo’s specification is outstanding. 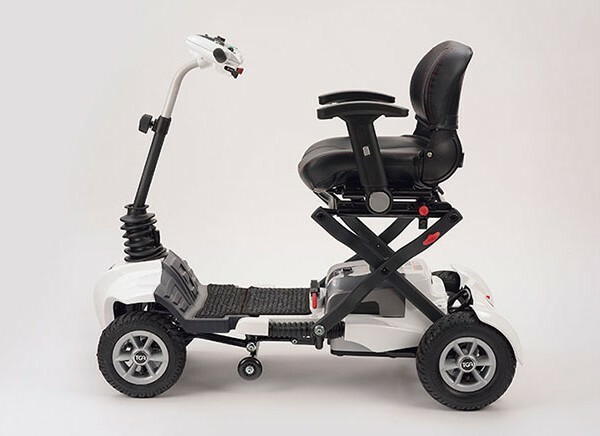 It includes active suspension, pneumatic tyres, larger chassis and ergonomic fully adjustable armrests. Its anti-tip castors ensure safety and stability when tackling uneven surfaces and the Maximo has an impressive user weight capacity of 21 stone (133kg). The powerful 270w motor and high quality 70ah S-Drive controller provide exceptional performance with a range of up to 12.5 miles (20km). When charging is required the user can quickly remove the lightweight battery pack which is easy to lift. 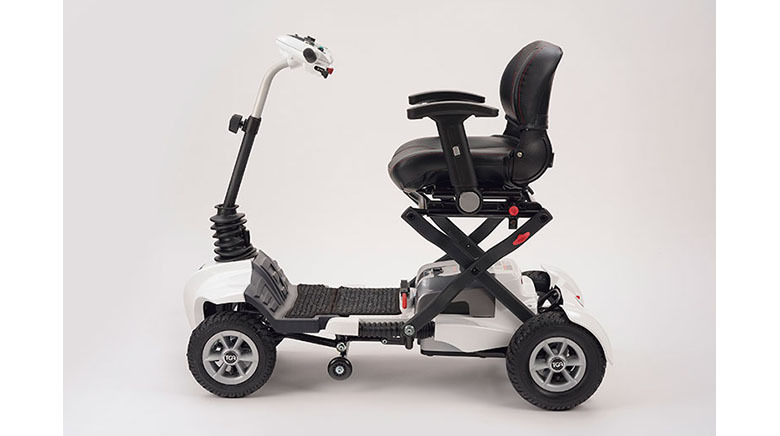 From high visibility, low energy LED lights to a folding cushioned seat, the Maximo combines an impressive range of features – all engineered with a precision, quality finish that is synonymous with TGA products.